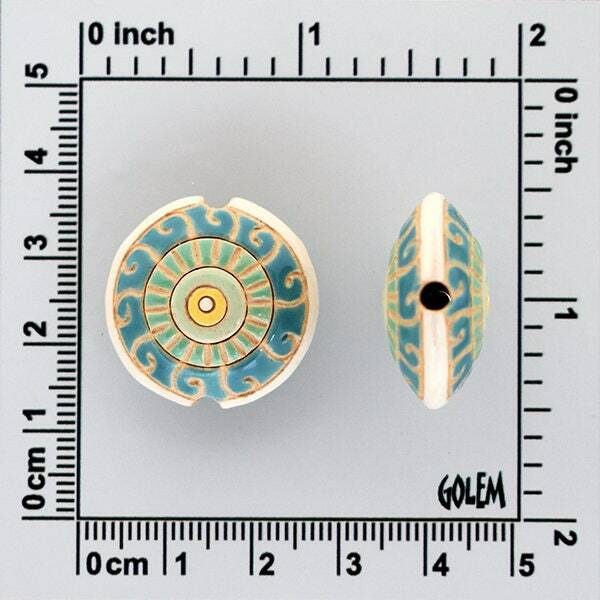 I am very happy to bring you these Golem Design Studio beads as an exclusive for Jasmine Tea Designs. 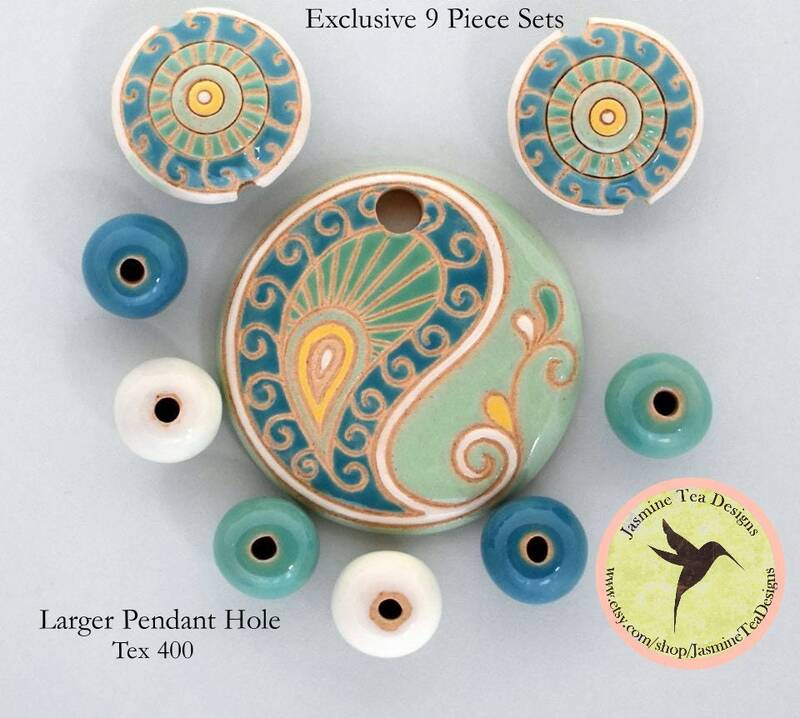 The pendant hole has been made to our specifications and will easily take Tex 210 and Tex 400 beading cord through the hole at double the thickness. This way you have 16 strands to work with and for two 8 warp sides. 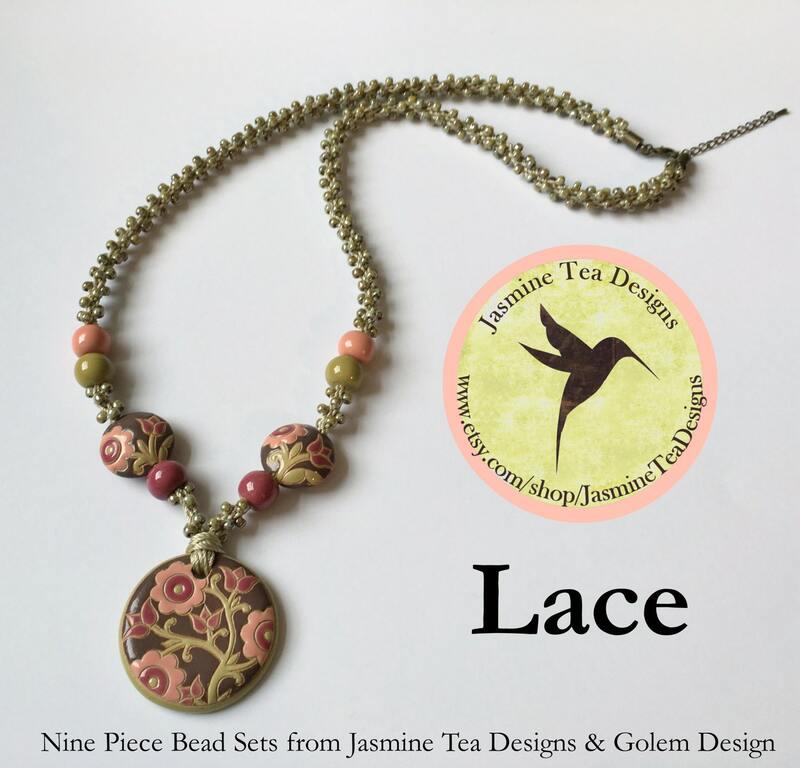 No tricky threading necessary. 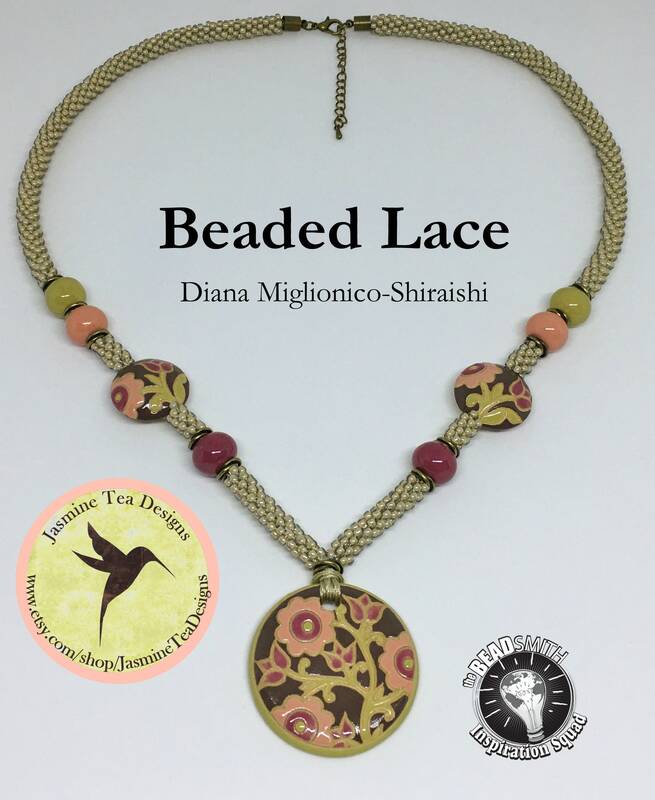 Just cut your beading cord to the desired length and make a lark heads knot through the pendant hole. 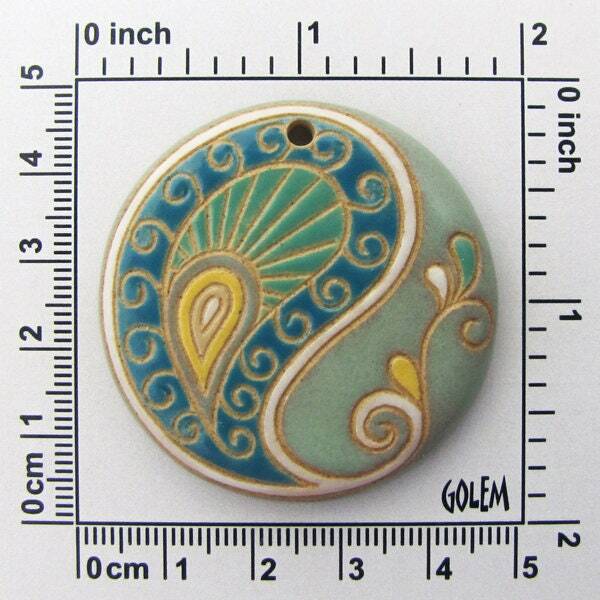 Golem Beads are hand crafted in Bulgaria.